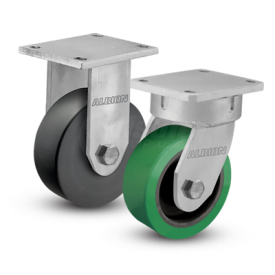 These super-duty casters are built specifically for that potentially punishing application where reliability is essential. A one-piece forging is precision-machined and carefully constructed to deliver the utmost durability in handling shock and impact. 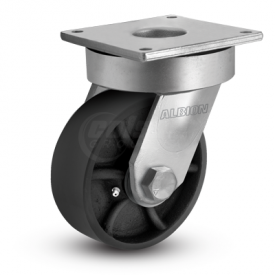 3/4″ ball bearings mounted in 7″ diameter precision-machined swivel raceway. Zerk included in swivel section.